Born in Kharkov (Ukraine) 1901. Studied at Kharkov Art Institute 1924/23?-29. Active in Kharkov (in Alma-Ata, Kazakhstan, early 1940s). Began exhibiting 1927. Member of OSMU 1929-31. Taught at Kharkov Art Institute 1929-41, from 1943; (Alma-Ata Art College early 1940s). Also a graphic artist. 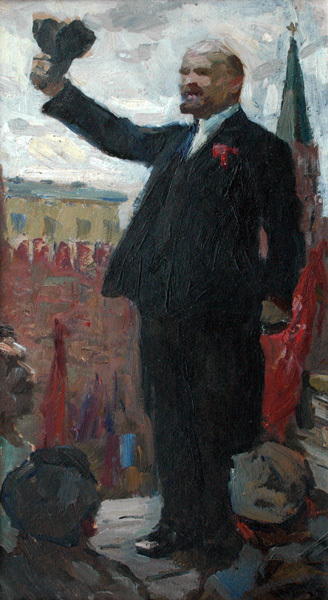 "Lenin in St.Petersburg", oil on cardboard, 48 x 26 cm.